With many physical disabilities, a prosthesis can be designed which aids or replaces the functions done by the injured body part. While it has often been said that there is no prosthesis for the human brain, certain deficits of frontal lobe function are masked while a survivor is in school, particularly those that relate to initiation, structure and motivation. The undersides of the frontal lobes, adjacent to Nancy’s damaged olfactory bulb, are primarily the part of the brain that is responsible for initiating behaviors. While Nancy has come a tremendous way after her brain injury her adulthood after pediatric severe brain injury leaves a growing gap. 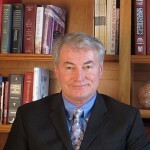 Neuropsychologist Nils Varney, Ph.D., who has pioneered much of the research in this area. calls this part of the brain the conductor of the symphony. As he explains, while the conductor of a symphony is only 1% of the orchestra, without the conductor, the symphony doesn’t make any music. Teachers, the discipline and requirements of a scholastic program, combined with strong parenting, may minimize significant deficits in deciding what to do and when to do it. Yet, now that Nancy is 18, intellectually approaching the potential to live independently, those deficits become more central with adulthood after pediatric severe brain injury. What recognition does Nancy have that she’s different than her friends or different than kids her age in her adulthood after pediatric severe brain injury? She knows that they have boyfriends. She knows that they all drive a car. She knows that all have jobs and they’re making money and they have progressed with their life. That they have ideals to go to college. That they aspire to be something. Whereas it seemed like it was about four months ago before we actually pinned her down to what do you want to be when you grow up? It could have been a dolphin trainer one day. It could have been a veterinarian the next or it could have been, a secretary. It was all over the place. So IEPs were really difficult to pin down. Grade school professions? The kind of things you dream about being when you’re in grade school not in adulthood after pediatric severe brain injury? Yeah, yeah. Right. So the age level and the perception was different. You said she has trouble making decisions and now you’re asking her to make a terribly important decision in her adulthood after pediatric severe brain injury. At least start to. What kind of a struggle is that for her to have to answer something as significant as to what do you do with the rest of your life when in some ways you’re, you’re thinking like a 12‑year‑old, a 13‑year‑old, not someone in their adulthood after pediatric severe brain injury? Well I think that once again there’s that processing. She wants to be a dolphin trainer. Ok Nancy, do you understand how long it, it’s going to take you to be one? Do you know the studies that are involved? Let’s talk about that, and, this is what you’ll have to do, A, B, C and D to be this. And then she will say I don’t know. I think she’s realizing things have steps. To get to be the president of a company you have to go through this to be, to be that. And I, and that’s not something that she used to think about and now I think it’s happening. Nancy also has some frontal lobe deficits in the area of disinhibition, as reported by her Dad. What are the biggest problems you have dealing with your daughter? I think it’s more of a issue with me of her being political, more politically correct out in public than she actually is. She’s blunt and to the point and calls a spade a spade and she says things that maybe not, might not be appropriate at the time. That bothers me. There is a term in the brain injury circle called disinhibition. Have you heard that with respect to this kind of thing. Is that what you’re talking about? Yes, sir. Well if we’re within adults in, in a group, we are camping, whether it be out for dinner or something like that and she brings up this situation, let’s say it about the Jonas Brothers. You know, out of the blue she just starts talking about something that we have no clue what’s going on but she brings up the topic and that bothers me. I mean nobody really wants to hear about it. Does your wife deal with those problems better than you do? What are you doing to try to continue to mature her in those ways for her adulthood after pediatric severe brain injury? Well we – I’ve, I try to let her know that current events are more important than the Jones Brothers, you know, watch something more age appropriate, read more, the newspaper. You know, people like to talk about stuff that’s in the news and on the papers and stuff like that and then you can carry on a conversation with somebody that, you know, that has – an adult. She gets along better with adults than she does kids her own age. So we try to get her in that genre that they can have a conversation with her. Have you tried podcasts with her? Ah, it’s very difficult to have her do anything – on a computer or something like that? No, that would be on an iPod where you actually can listen to news and current events. If she does better with auditory learning. No, we’ve never tried podcasts. We do the audio books. Yes, she does like the audio books. One of my growing beliefs as I move forward with the TBI Voices project is that there are low cost technological tools available today, that might not have been there traditionally, that could significantly help long term recovery of frontal lobe function. With someone like Nancy who has a significant relative weakness in reading, yet a significant relative strength in auditory learning, the Ipod and podcasts could be a significant breakthrough tool. Ipods are available from Apple for as little as $149 and other MP3 players are likely considerably less. Of course, without monitoring the Ipod would become nothing more than a Jonas Brothers tribute. Yet with supervision, structure and discipline, it could provide her a low cost supplement to what may too soon become the end of her structured learning, as she graduates from high school. Add the Podcast of http://onpoint.wbur.org/ and assure that she listens to at least each week’s “Week in the News” and she will quickly begin to have some awareness of current events. The challenge of course is to find some mentor or other human connection that can help her find relevancy to her day to day life to those things she will hear and remember. iPods, MP3, and PDA phones are the hope of the future for TBI survivors for sure…..
She knows they have boyfriends, they all drive a car, they are going off to college……yup! All things that us adults lose, but to have crushed dreams that early, man o’ man is that tough….